Non-Governmental Organisations are generally the first responders in emergency situations and only responders in rural, dire communities. The role of many NGOs are vital for many developing economies and Navesta recognises this. Through partnerships with various non-governmental organisations (NGOs), Navesta believes that the united force has the ability to quickly tackle some of the world's most dire health needs and concerns no matter the economic landscape or emergency situation. Education about health and proper use of pharmaceuticals is important in developing understanding in communities as to how to live a healthy life. Health education impacts not only families, but entire economies as individuals are able to contribute more to their communities and societies. Navesta believes that this is a fundamental aspect in ensuring that individuals enhance their livelihood for themselves personally, and for their communities. For NGOs to deliver their initiatives, the necessary resources need to be readily available. Navesta works with NGOs to source the necessary products to ensure that communities are served. In emergencies, two critical factors are response time and time of assembly. 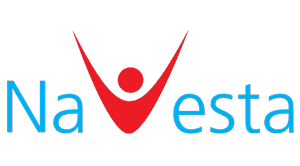 Navesta's commitment in assisting the development of communities through alleviating health care needs dictates its pledge to assist in disasters in any way the company can. The health and happiness of others means the success of Navesta. Navesta believes that each and every individual deserves access to health care products which will enhance their lives to be healthier and happier.